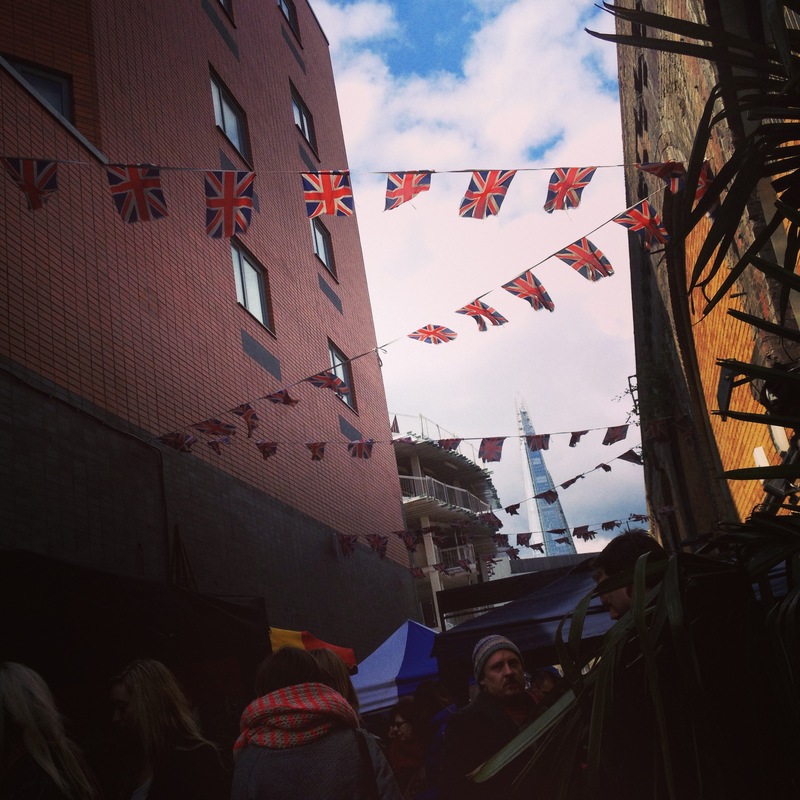 A combination of pay and good weather on Saturday resulted in a trip to Maltby Street market. I’d heard great things about it and decided it was high time we checked it out. Based between Bermondsey and London Bridge, this hidden street was bustling and full of culinary temptations. Lucky we went hungry. We used our tried and tested food market strategy and spent some time perusing the various stalls, trying to decide where to buy from. It was tough, I can tell you. The vendors are keen to give you free samples (Alex’s favourite thing) and chat to you about their produce. Before we’d eaten anything we bought a jar of Green Chilli jelly. This turned out to be an excellent decision. 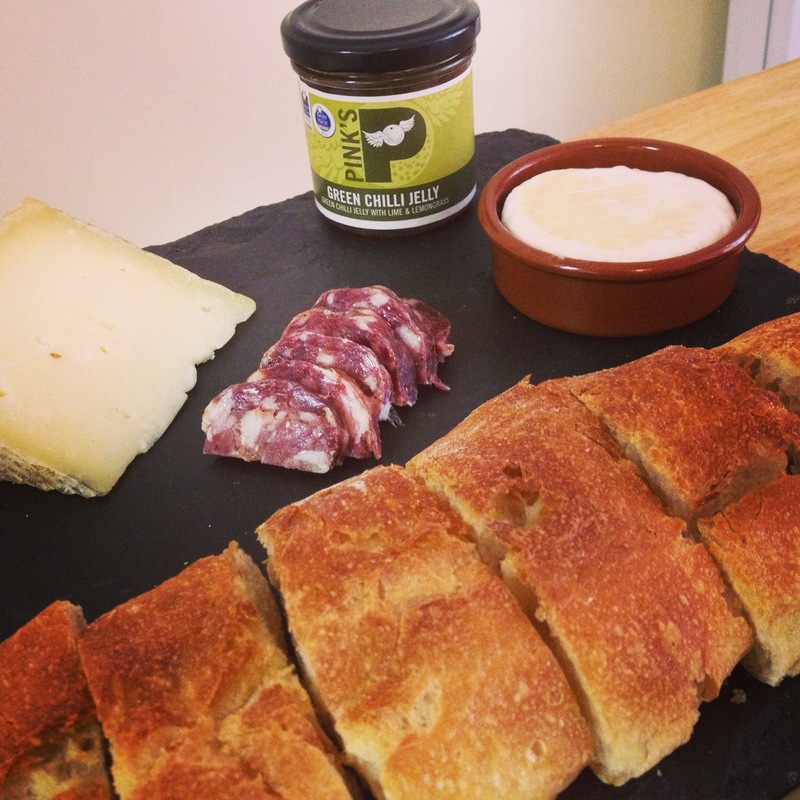 I paired some with a block of manchego cheese yesterday with excellent results. After much deliberation, we settled on a Hog burger (apt) from The Woolpack. 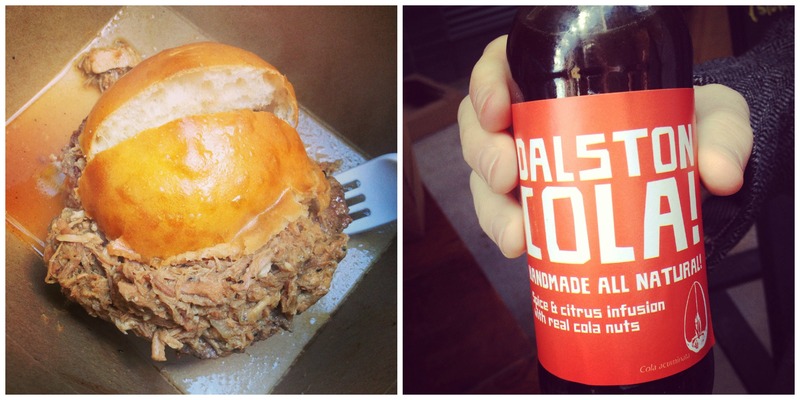 Any burger that includes pulled pork is a winner for me, and this was just fantastic, although pretty messy. We went all-out hipster and bought a Dalston Cola. This was like Coca Cola on acid, but bloody excellent. After a bit more deliberating (and a hiatus whilst I bought a GIANT chocolate chip cookie – eaten before I could take a photo) we plumped for a jamon and tomato bocadillo from Tozino. 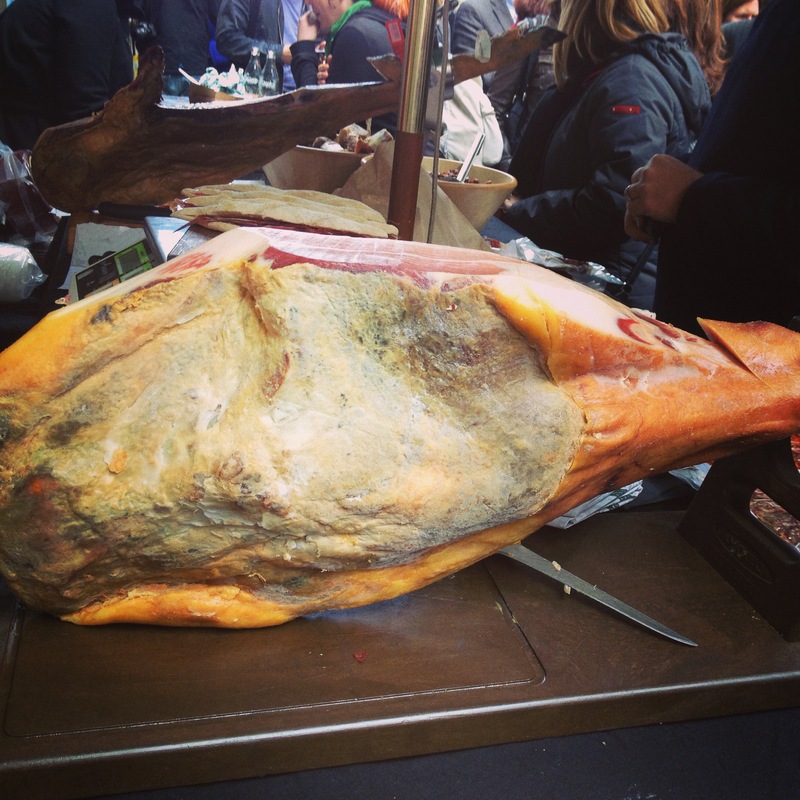 We were tempted by the huge leg of cured jamon. Another excellent decision, this was probably the best sandwich I’ve ever eaten. It transported me back to Seville, albeit temporarily. The cold breeze blasting from the Thames brought me sharply back to London. With a heavy heart we left Maltby Street, but not before Alex knocked back an Espresso from Craft Coffee, which he assures me was fantastic. 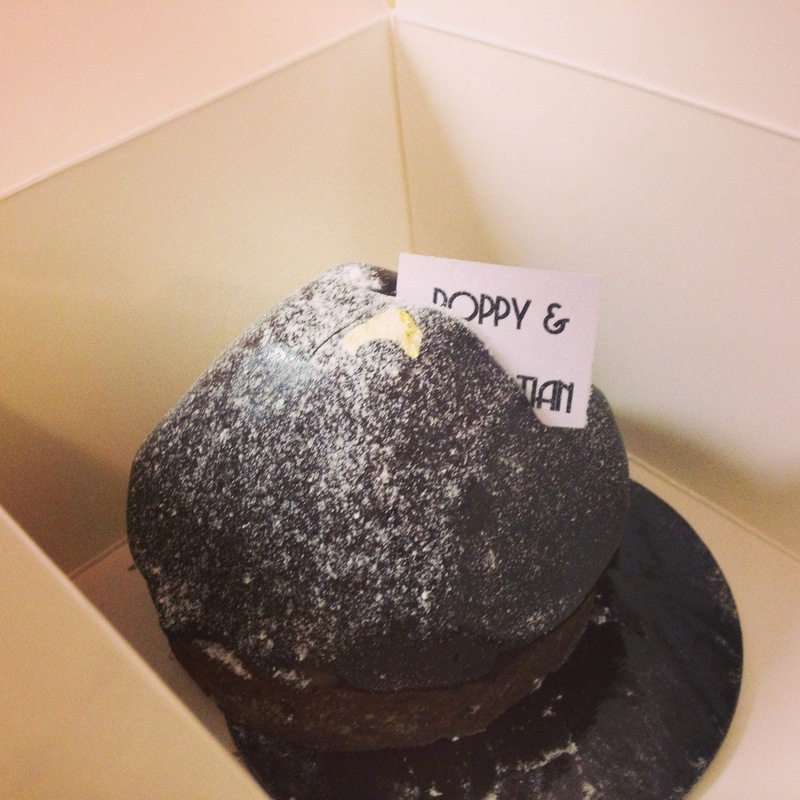 We also picked up a delicious looking Snickers cake from Poppy’s Kitchen. This is still waiting to be eaten, but I’m sure it will be amazing. 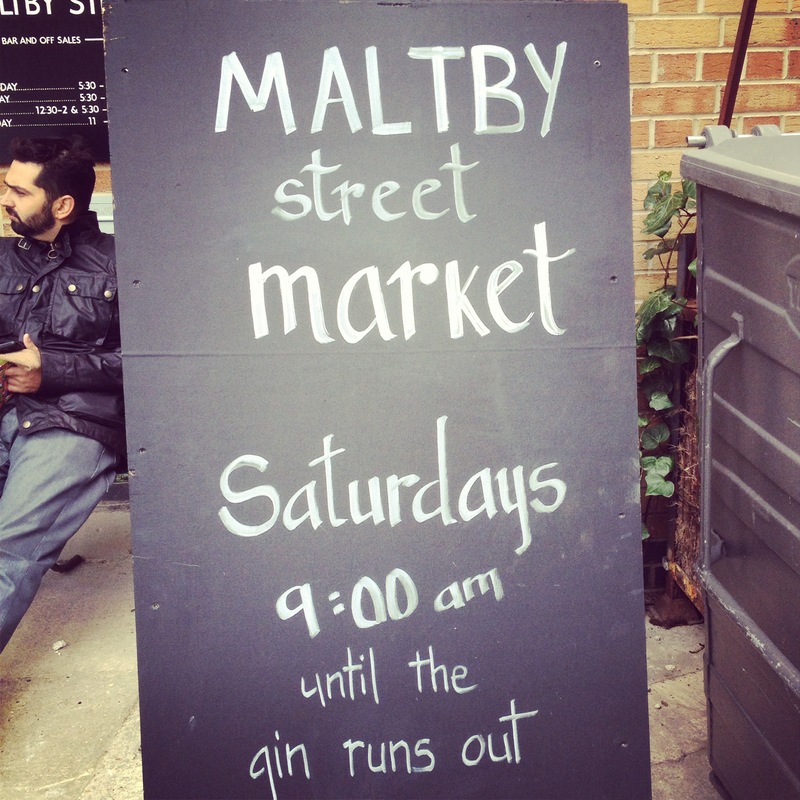 Maltby Street, we loved you and we’ll definitely be back to sample more of your delights. ← Street Feast is back!